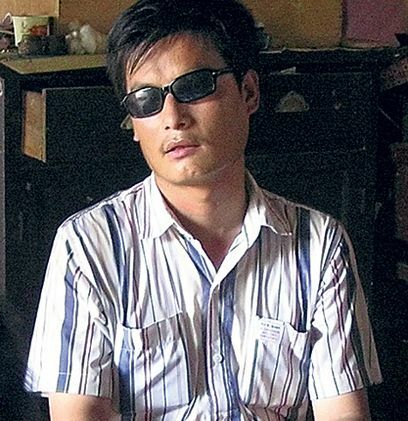 Blind activist Chen Guangcheng’s health is in serious jeopardy because of repeated beatings and malnutrition he suffers in house detention. Women’s Rights Without Frontiers and China Aid Association have called for urgent action to free Chen and his family. Women’s Rights Without Frontiers released a video demanding freedom for Chen and his family. ← Winston Churchill calls on the country to ready themselves in the face of defeat for the battle that will shape their destiny. I would like to sign the petition(s) aimed at freeing the blind human rights lawyer, Chen Guangcheng (& his wife), as well as other Chinese human rights lawyer who are trying to protect Chinese lives… The Chinese Government should be cursed with international shame for allowing the torture, imprisonment and harassment of these Chinese lawyers who are only trying to defend the Chinese People from the Barbarism, the terrorism on babies & unborn babies, that the Chinese ‘One-Child Policy’ Government is inflicting on its own people. Shame on you, China! A concerned citizen from a free, democratic country.